Once the shell has been removed what is left is the horse front. This is sold either as one whole piece or halved normally referred to as a single horse front (SHF) Tanned the same as the traditional bovine Horween Chromexcel - Hot stuffed veg re-tan. 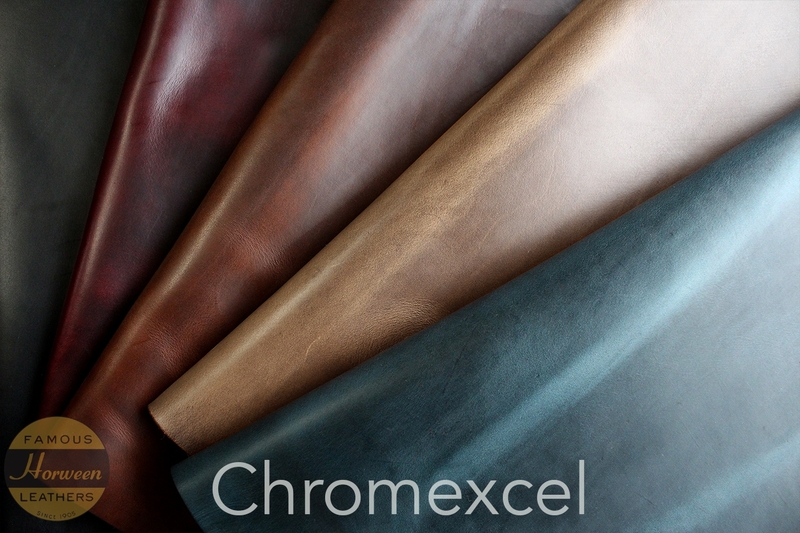 These Horween pieces of Chromexcel Single Horse Fronts are from ½ Sq.Ft² up to 2 Sq.Ft². We will always ensure to give you a good mixture of the 3 cols. Black, No8 and Dark Brown. Once the shell has been removed what is left is the horse front. This is sold either as one whole piece or halved normally referred to as a single horse front (SHF) Tanned the same as the traditional bovine Horween Chromexcel - Hot stuffed veg re-tan.